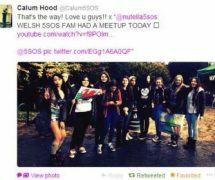 5 Seconds of Summer are a four piece Australian band who toured with One Direction on their world tour this year and since then, the four Aussies have gained more popularity than ever before. 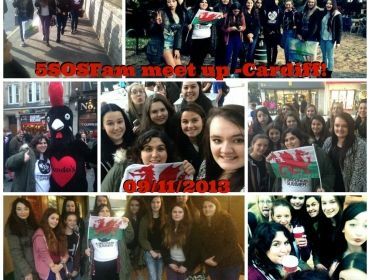 So much so, that fans are holding meet ups across the world. 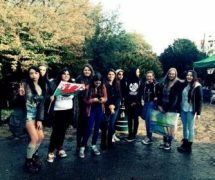 Saturday, 9th November was the Cardiff meet up and it was so much fun. I speak to a lot of girls on Twitter and fangirl over 5SOS, One Direction, Olly Murs, etc. 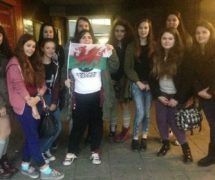 and I arranged with a girl to meet at Cardiff Central Station to go to the meet up with. Now, I know it is dangerous to meet up with people from the internet, but if you follow certain rules, it should be okay (I’ll give tips at the end of this article!). 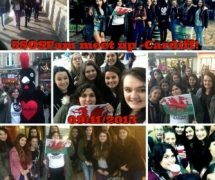 We met with other fans at Cardiff Castle and there turned out to be between 15-20 fans there in total, all there for 5 Seconds of Summer. We all made friends and got along really easily. 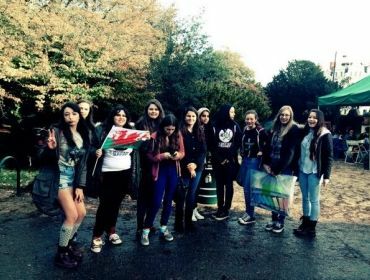 We went around Cardiff, including Starbucks and the Apple Store and all had a great time, discussing the band, singing songs and bonding. We all love the band a lot and by the end of the day, we got on so well. 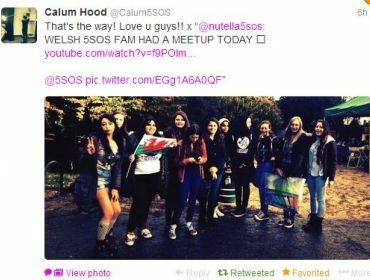 To top it off, Calum, one of the members of 5SOS noticed our meet up photos and tweeted them as well as the video I created of the day. Talk about the icing on the cake! 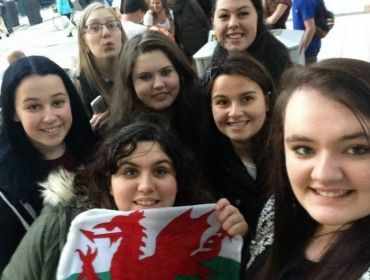 The meet up was really fun, but not all online meet ups go as well as ours did. If you ever plan to meet anyone from the internet, take extra care, get consent from your parents/guardian – or even take them with you, and never go alone. Here are some tips to ensure that it is as safe as possible. â€¢ Make sure the meet up is in public and daylight – this way, if anyone dodgy does show up, you have a lot of witnesses and people can see what’s going on. â€¢ Have an adult with you or nearby – even though I’m 18, I had my scary-looking dad walk with me to the meet up so he could see who people were and make sure they seemed okay. A parent, guardian or family friend would be ideal. â€¢ Have a mobile phone with you at all times – you never know what could go wrong. From people turning up you didn’t want there, to arguments or even someone becoming ill. A mobile always comes in handy. â€¢ Bring a banner/wear specific clothing- If you walk up to someone and assume it’s someone at the meet up, they could lie and say they are, when they’re actually not. 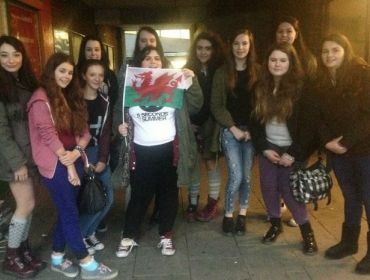 We wore 5 Seconds of Summer shirts/told each other what we were wearing that day so we could identify one another. â€¢ Don’t feel forced into attending any meet up if you’re not comfortable – if you don’t feel okay with meeting up, you can always say no. You’re not forced into doing it! Hope these tips help if you ever consider doing something like we did. 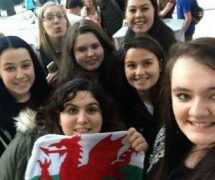 And what’s better, is that we’re all teaming together in getting a petition for the band to put on a gig in Cardiff sometime soon. They often come to the UK to write and record. If you like 5SOS or feel generous to help us out, retweet this tweet. We are sending it to their management and maybe, just maybe, we can get a reply and hopefully it will be a positive one!